AURIGNY has sought to position itself as the ‘family friendly’ airline with long-term price cuts for all children under-16. The ‘Kids Fly For Less’ scheme sees ticket prices for children aged 2-15 cut by 15% and free fares for infants. For children under five years old, two support items – out of a pushchair, travel cot or car seat – will go free of charge. Aurigny, which has been under pressure over flight prices, says it responding to customer feedback. 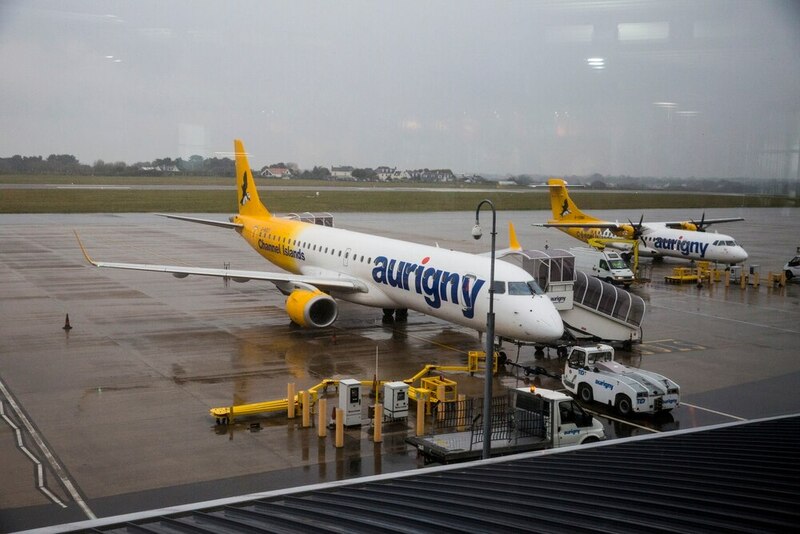 Aurigny commercial director Malcolm Coupar said: ‘We are proud to be the first airline in the Channel Islands to offer this kind of package for families. Many of us at Aurigny are parents and we know the pressures and stresses that come with travel. ‘As a family, you often have to take more luggage – including pushchairs and buggies – and have to travel in school holidays, when everything costs more. ‘This package of benefits is designed to take some of that stress away and make it a bit easier for families travelling with us. As a community-based airline, we want to support families as much as we can. The family friendly package includes existing Aurigny offers such as free ‘Flight Forward’ and ‘Rescue Fares’ for all children on all routes. The ‘Flight Forward’ service is designed for families whose return flight from abroad arrives in time to allow them to catch an earlier Aurigny flight home. Aurigny’s ‘Rescue Fare’ helps travellers who miss their Aurigny flight and allows passengers to move to the next available flight, with no additional cost for children. Previously, only certain routes had discounted rates for children (considered aged 2-11 years old). Infants fares (for under-2s) are no longer applicable, however taxes and charges are still included. The benefits are not a limited offer and will be available on all bookings made on Aurigny.com, year-round. The new discounts will be available for all flights booked as of today for travel from 5 November onwards. The benefits cannot be retrospectively applied to existing bookings.